30 Thoughts For Victorious Living by Osteen, Joel was published by Harrison House Publishers in January 2003 and is our 6060th best seller. The ISBN for 30 Thoughts For Victorious Living is 9781593495039. 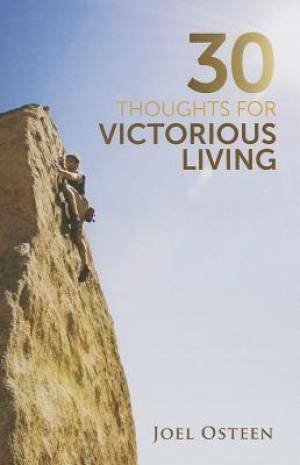 Be the first to review 30 Thoughts For Victorious Living! Got a question? No problem! Just click here to ask us about 30 Thoughts For Victorious Living.